Real Estate business has grown hugely and is an industry now catering to various sections of society. As it grew its requirements also have grown. One important area has been advertising to attract people towards their projects. With the general growth of the country, the affluence of people has also grown. Customers have also become more demanding and discerning in both quality, and time schedules. Real Estate industry has embraced technology all round. Advertisement has become an absolute necessity and the quality of photographs used has become a sort of indicator to things more important. The challenges raised by cut throat competition and stringent quality requirements have been met by resorting to technology in every aspect including photography. The digital technology has risen to the task in improving the hardware like cameras and computers and software required to produce first class photos and post-processing to produce spectacular photos for use in the various media. Image blending Service is a post photography process to enhance the appearance of the photograph and also to convert them into a panoramic one. Real Estate photos are always taken piecemeal. They are taken at different times in multiple frames. To convert them into one or two big photos, to cover the entire property, image blending is resorted to. This involves quite a few very demanding steps. Since the photos are taken at different times, and as same conditions of light, sky background etc. cannot be demanded of nature, these aspects need to be corrected to make the end photograph look a wholesome one. This is a daunting task indeed. Powerful software is available to achieve splendid results in an experienced hand. First all the photos are mixed together. Then individual frames are aligned properly to form a sequentially correct photo making use what are known as points of interest. Points of interest are points where there are large intensity variations in all directions like corners and margins. There are powerful computer tools to do this. After the requisite alignment is achieved the next step is the exposure adjustment. As mentioned earlier real estate photos are numerous single shots of varying exposure and depth of field. The aligned images are adjusted to give a uniformly varying brightness at the middle gradually dimming towards the edges to make the photo natural. If demanded, with the help of advanced post-processing software, known as HDR processing, the photographer is able to blend the photos to together and create a single image comprising the most focused, well-lit, and colorful parts of the scene. The next step is to adjust the sky, background, and the foreground to look continuous. These are all done with the help of powerful software. After cleaning the foreground of distracting objects like bins, carts etc. it is touched up to mask the removals. If done by crafty experienced technicians the final photo will look very impressive and will not give any inkling as to the multiplicity of photos with which the process was begun. Often realtors demand panoramic view of their property to allow their clientele to have an overall view of the property, which is very often very impressive. In modern days because of the progress in mobile communication technology there are demands for virtual panoramic views. The above discussions show how Real Estate photography has grown from an art to a combination of high end digital technology and art to meet the ever increasing demand of high quality photographs that can be used in all media. The part played by digital technology is enormous and these manipulations would not be possible without this support. 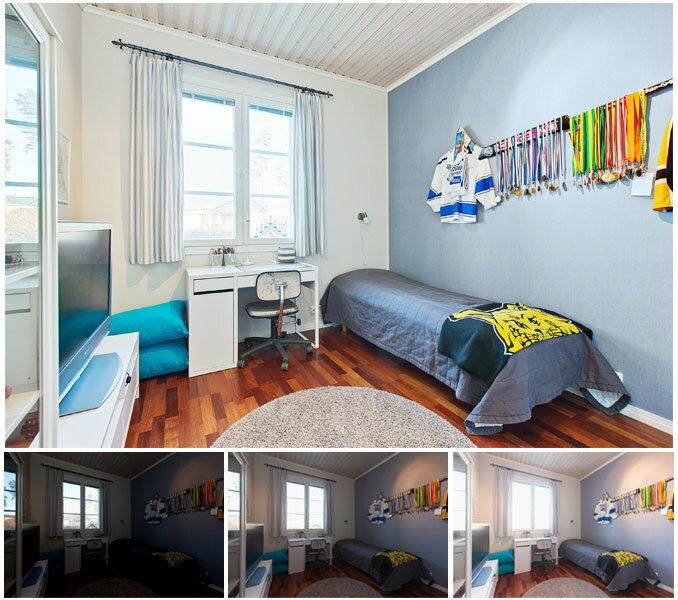 It is evident from the very complex nature of Real Estate Photo Editing that the services of professional service providers are essential. Only a high class service provider, with state of the art infrastructure, with well trained, skilled and artistically endowed personnel can cater to the exacting demand for high class photos of the real estate industry. The whole operation needs to be done economically and within tight time schedules. A service provider with the wherewithal to meet the exacting demands of the Real Estate industry is Photo Editing India. They have a worldwide satisfied clientele of great repute.